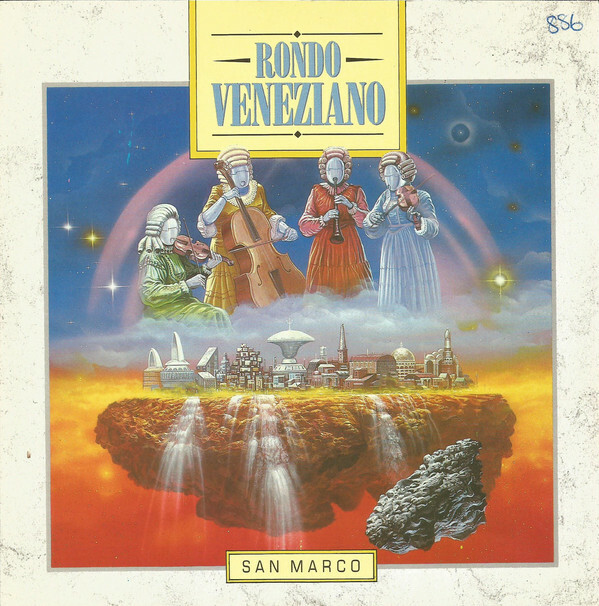 Positing a fantasy world where Renaissance and Enlightenment values co-existed with the joys and preoccupations of the coming technological age, the Rondo Veneziano orchestra was the brainchild of Italian record label owner Freddy Naggiar, who noticed the lack of Italian instrumental music on the international scene and charged orchestra director and arranger/composer Gian Piero Reverberi to come up with someone or something to fill the gap. 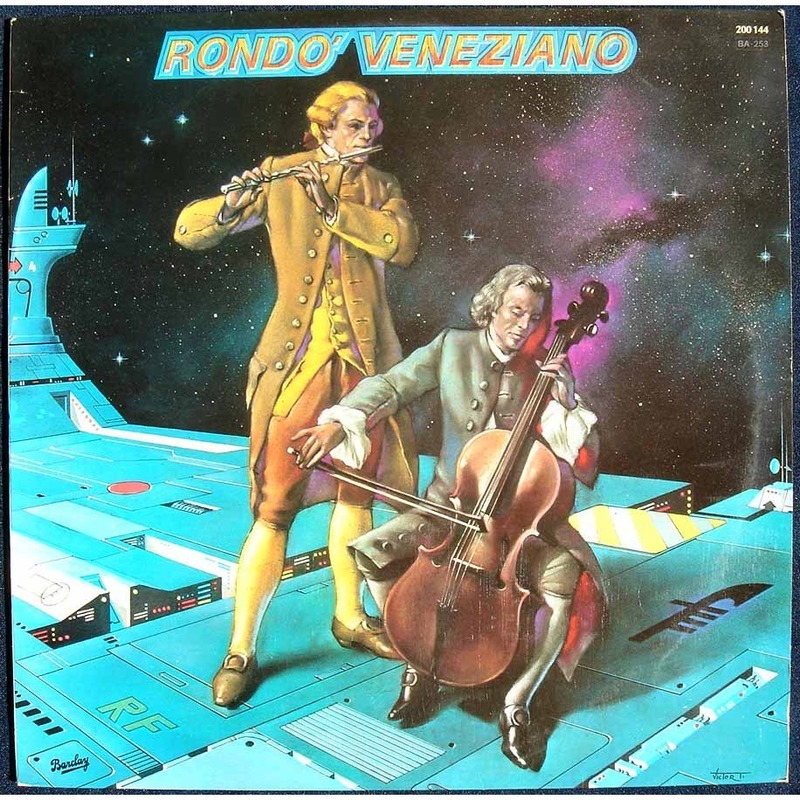 Perhaps taking inspiration from the fanfares of Vangelis’s 1977 hit single Pulstar and the disco thud of Walter Murphy’s A Fifth of Beethoven, Reverberi’s response was to assemble a chamber orchestra that would blend Italian Baroque music with the four-to-the-floor bass and drums and synthesizers of disco and pop. 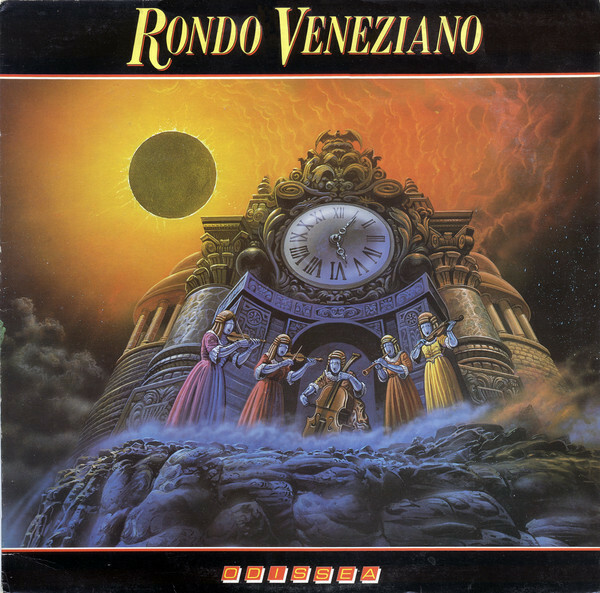 The group became a household name in their homeland after their track “Rondò Veneziano” was chosen by businessman and future Italian prime minister Silvio Berlusconi as the theme music for his Canale 5, where it was broadcast multiple times daily. Launched in 1980, Canale 5 was the first of the three private TV channels that would form Berlusoni’s Mediaset TV empire, challenging the didactic mission of national state broadcaster RAI with a new form of commercial programming as slick and eyecatching as it was often crass. 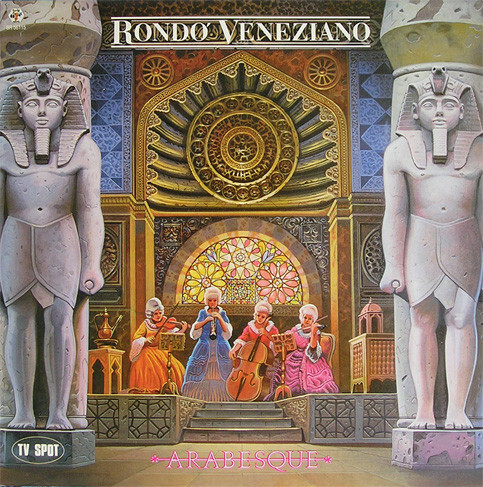 Over subsequent years, Mediaset’s roster of imported soap operas and game-, comedy-, and chat-shows would completely transform Italy’s TV landscape, as well as the psychology of its inhabitants, and guarantee Rondo Veneziano a vast showcase for their gimmicky sound. 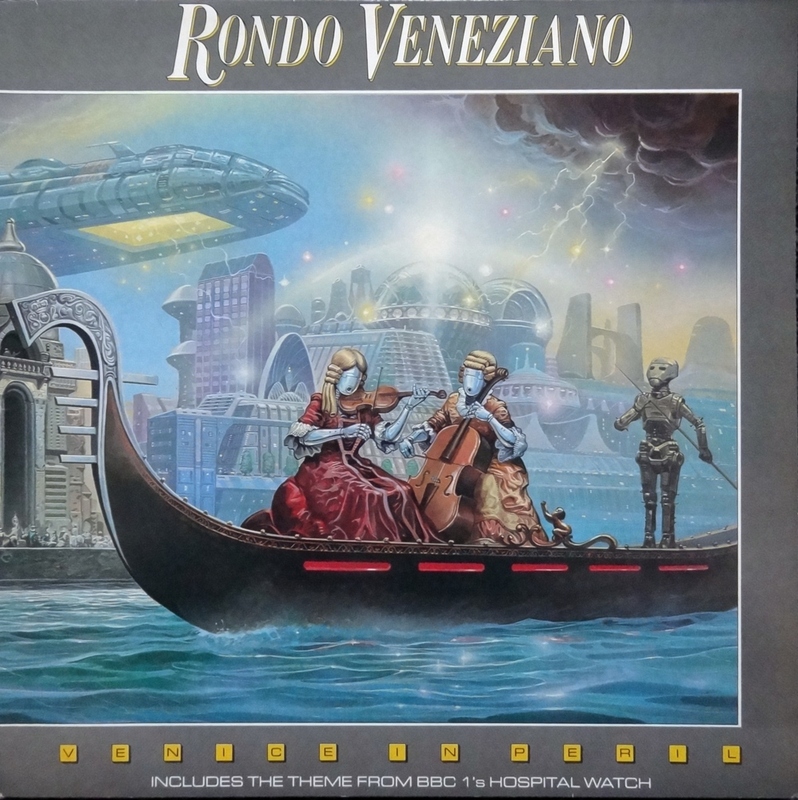 Taking their name from a form of baroque composition, the cover art of the ensemble’s first two LPs—their self-titled debut, which featured a pair of 18th century musicians performing aboard the hull of a spacecraft, and the follow-up La Serenissima, where two Hajime Sorayama-esque android musicians perform aboard a gondola against the backdrop of a futuristic city— laid out their visual manifesto in no uncertain terms—in a way that guaranteed there was no risk of them being mistaken for traditional classical music. They continued to work similar themes on their covers over the next decade and were not above looting Shusei Nagaoka‘s work for Earth, Wind and Fire for the cover for 1987’s Arabesque—painted by famed sci-fi illustrator Angus Mckie, who provided several covers for the ensemble. 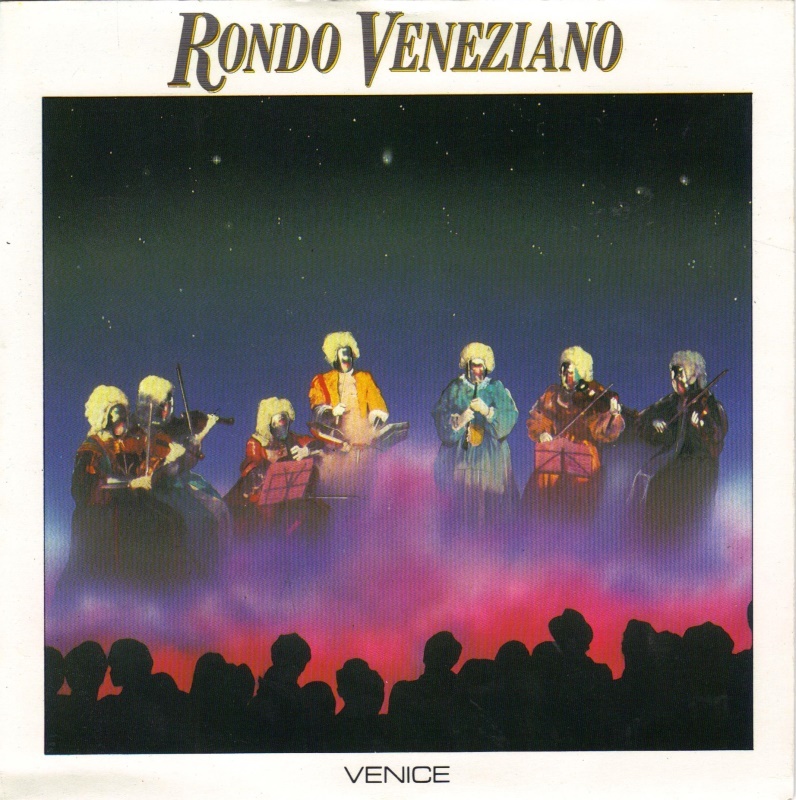 The music videos that animator Guido Manuli produced for the ensemble are perhaps the defining summary of the Rondo Veneziano aesthetic, especially the one for the 1981 track La Serenissma. Taking as its theme Venice’s imperiled survival, the video assembles a potpourri of motifs—robots, starships, cataclysmic disasters, tractor beams, and spacemen—pressing the buttons of a public still reeling from the onslaught of exposure to Star Wars-inspired ephemera. The song’s elegiac melody was perfectly suited to this narrative of futuristic technologies salvaging the remains of humanity’s treasures from a dying world inhabited solely by our robotic creations, still intent on performing for our pleasure as they sink beneath the waves. 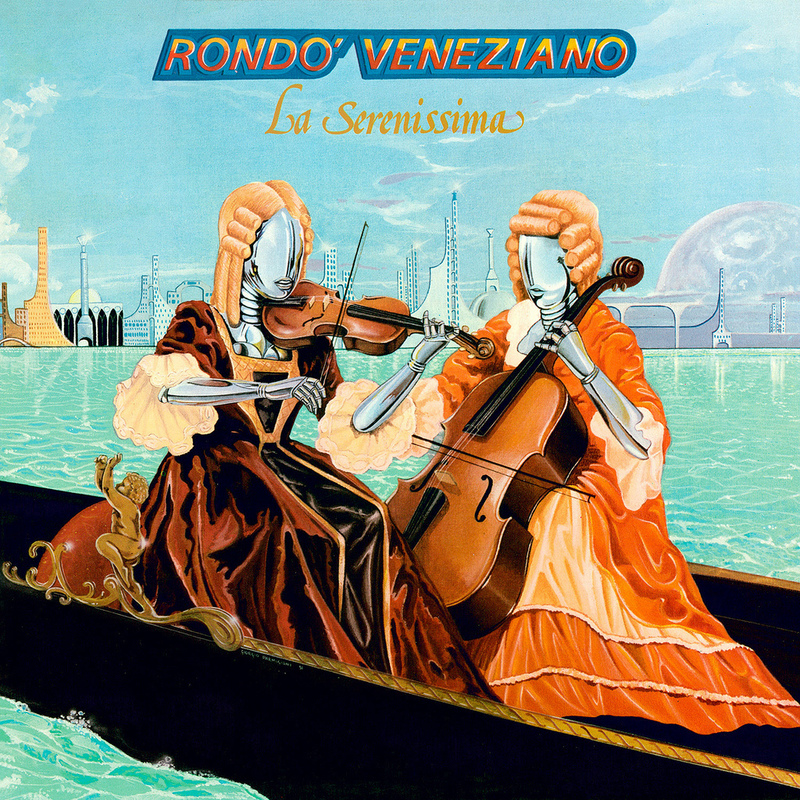 La Serenissima was, in fact, later adopted as the theme music of the Venice in Peril Fund, which was created to preserve the artistic heritage of Venice and Florence after the devastating floods that struck Italy in 1966. Unfortunately, the ensemble didn’t attempt to reproduce the futuristic imagery of their LP covers and videos for live performances, though the incongruous sight of their be-wigged rhythm section hammering out a four-to-the-floor is not without its charms. 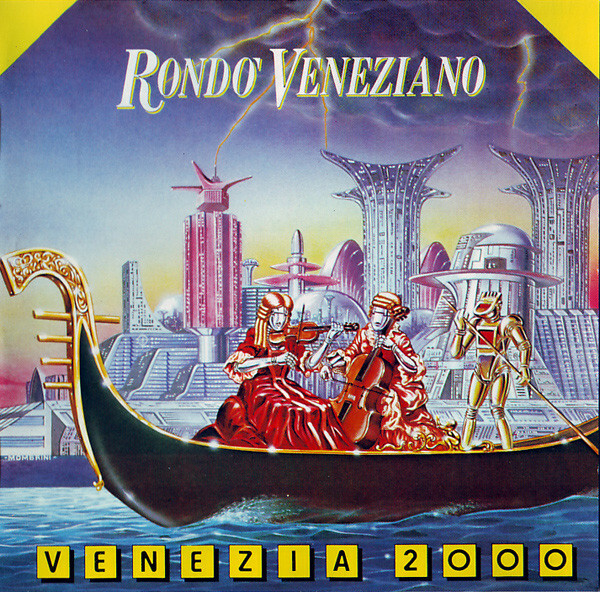 In their silly, kitschy way, Rondo Veneziano capture the strange collisions of history and destiny that were taking place in the wider society of the 1980s as, in the face of increasingly confusing and worrying present realities, the elegant and unreal certainties of the past merged with the gleaming promises of the future.